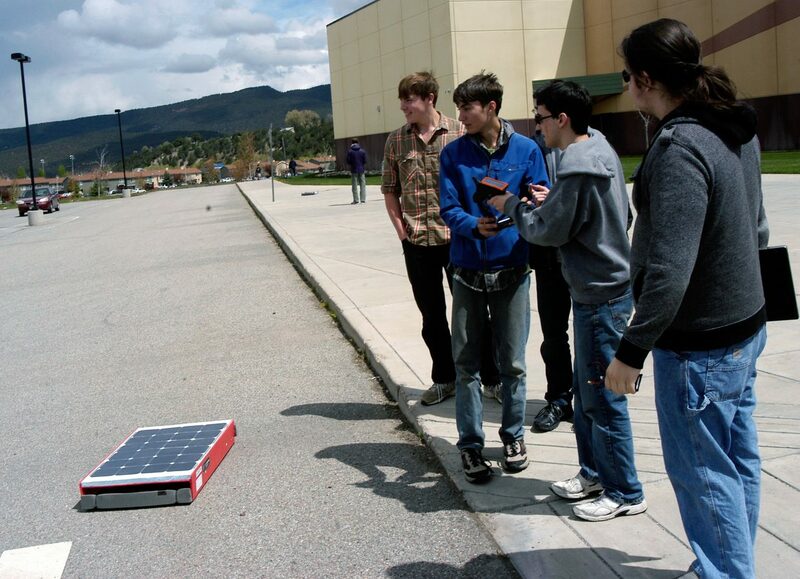 Yampah High School graduate Jacob Sarver, right, looks on as Glenwood Springs High School Solar Rollers team members, from left, Forest Rappe, Anthony Parker and Ryan Scott, get ready to run their remote-controlled solar car during speed trials at the Energetics Education Solar Rollers competition Saturday at Roaring Fork High School in Carbondale. Teams from several area high school participated in speed and head-to-head racing events. 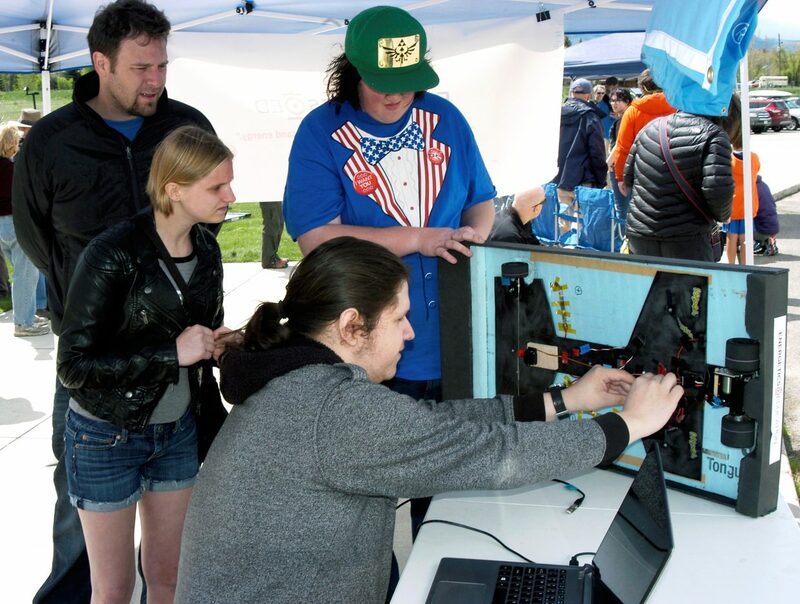 Yampah Mountain High School teacher and Solar Rollers coach John Hughes, left, observes as his team of students, including Lea Lamiroult, Travis Caughey and Yampah graduate Jacob Sarver, seated, work to fine tune their solar car during Saturday's Solar Rollers races at Roaring Fork High School. Glenwood Springs High School Solar Rollers team members, from left, Forest Rappe, Ryan Scott, Anthony Parker and Branden Zimmerman, with their solar car. 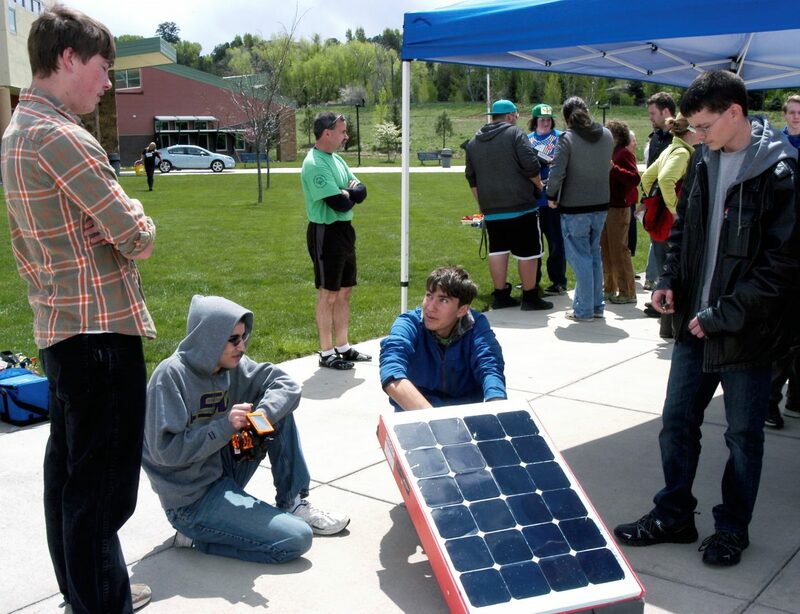 Students and a handful of spectators get ready for one of the solar car races to begin during the Energetics Education Solar Rollers event at Roaring Fork High School in Carbondale on Saturday.